Check out the celebrations and see what recipes you can make to correlate with a specific day! 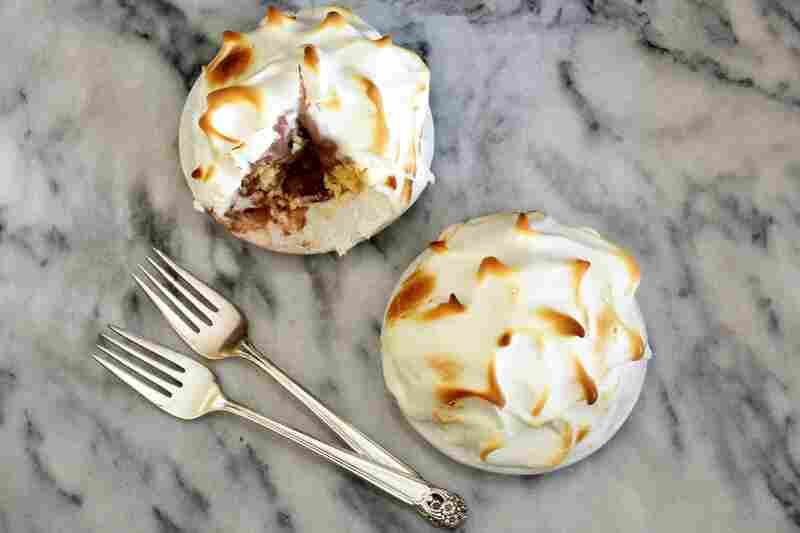 Baked Alaska is an easy dessert to make and it's quite versatile. The cake and ice cream can be cut or molded in a variety of shapes and sizes. Make small, individual baked Alaska desserts or one large cake. If you've ever wondered what the secret was to baking this mysterious dessert with ice cream, it's the meringue. It acts as insulation which protects the ice cream from the heat. A crepe is a French pancake that can be served sweet or savory. It is incredibly easy to make, with only six ingredients and 20 minutes, you can have these delicious cakes made in no time. Since they are so tasty, you might want to make a double batch. It's also a fun way to get the kids involved in a cooking activity. Tropical carrot cake is a well-known favorite. Not only does it have lots of carrots in it, but this cake is also loaded with nuts and coconut and topped with a cream cheese frosting. Who can resist a pot of chocolate with fun foods to dip into it? Believe it or not, chocolate fondue is one of the easiest dessert recipes on the planet. It seems so luxurious and complicated to make, but it's not, especially when you use the slow cooker. All you have to do is stir it once while the chocolate is melting. Fondue is perfect for fruit, cake, or biscotti to dip. Nutella is sort-of like peanut butter made with hazelnuts instead of peanuts combined with milk and chocolate. Try it on crepes, sandwiches, ice cream, or just by the spoonful. The Girl Scouts of the United States of America have been selling cookies since 1934. Even though some of the cookies are different these days, you will always be able to get the Super Six: Samoas, Thin Mints, Do-Si-Dos, Trefoils, Lemon Chalet Cremes, and Tagalongs. Celebrate National Girl Scout Cookie day with your favorite cookie. Who doesn't love brownies? Especially when they are spectacularly fudge-y. These two variations are delicious and easy to make! Enjoy (or create) the family tradition of making the Christmas Pud (Pudding) on this February day. A traditional British pudding is a make-ahead, fruit-filled, steamed dessert. The pudding is made with many dried fruits, sweetened with molasses, and flavored with warming spices like cinnamon, nutmeg, cloves, and ginger. Ho above and beyond to show that special someone in your life how much they mean to you on Valentine's Day. Plan a romantic dinner for two, creative cocktails, or some decadent dessert ideas that will satiate your honey's sweet tooth. You can purchase almonds in several different forms, including slivered almonds and whole almonds still in their skins. These versatile nuts can be ground like flour, eaten as-is for a snack, or added to desserts or granola. A favorite flavor combination is chocolate and mint. The result is absolutely divine, especially when making chocolate mint cupcakes or mint chocolate chip ice cream! National Cherry Pie Day is a great reason to make your own cherry pie. Traditionally, cherry pies are made with tart cherries, but feel free to use sweet cherries or a combination of the two. Sticky buns are just as they are named. They are sticky, sweet rolls that taste best warm from the oven. Banana bread is a favorite comfort food. The simplicity of this sweet treat affords a whole host of possible variations. From adding pecans to chocolate chips, to making a warm orange glaze to go on top, you can personalize this favorite anyway you'd like! If you think that sweet and savory are perfection, then chocolate-covered nuts are one of the ideal ways to achieve this flavor combo. Strawberries can be found all year long in most grocery stores, making baking and creating delicious confections with strawberries a wonderfully easy task. Some favorite strawberry recipes are strawberry hearts, strawberry cake, strawberry muffins, and last, but certainly not least, strawberry shortcake. Once you've got your practice shelling pistachios, try using them in any number of delightful recipes like pistachio cake, stuffed figs with pistachios and honey, and pistachio encrusted rack of lamb.